I think that there should be a "LEGO Castle Customs" sub-board. 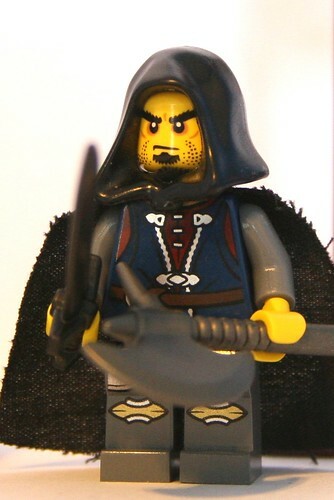 That way members can not only share their MOCs, but also their custom minifigs. I think that Mercat's idea for a minifigs sub-forum is great. I also agree with him as he stated in his post that customs should be included in that forum. Customs are almost entirely minifig related now a days and I think that it would be best to not clutter this site with too many forums. A minifig board sounds sweet. Would a minifig and custom board under the completed builds section be too buried? Like Jordan said, my fear is that we make the structure too complicated. As far as a Lego set board, it seems to be that it would be great to keep this in general discussion that way you can talk about all Lego sets as Castle parts can be found in all different themes. I don't think it would. You could always make it its own board (forum), but making a sub-board in the "completed builds" forum would work too. 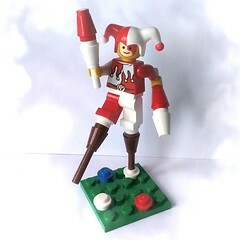 Once we get it set up, I would be happy to help moderate it, if you would like, as I am a LEGO customizer myself, and am very knowledgable in the subject (of LEGO customizing). We could compile a (stickied) thread of all the known LEGO customs shops (that are currently open for business). Too many subforums would get confusing, so only the most important/most necessary ideas for them should be chosen, IMO. I agree. Does anyone know how to post an image in your signature? David and AK, there are many improvements here over the Classic-Castle GUI, really like it. Out of all the new items, by far the best is the time-saving "Participated" block on the upper right which shows exactly what is NEW to check, great stuff! Gotta keep that. I also like the convenient formatting while posting too. Keep going guys! Have there been any thoughts on 'footers' or signature blocks or whatever you call them? In all honesty, I'm not too keen on them, they make the page messy. Can we insist on a maximum size eg like AK's example above, I didn't even notice them initially. That makes sense. Jordan's sig looks pretty reasonable and I agree anything bigger can take up a lot of space. I will see what our options are from a board perspective. Also You should be able to get to the NoR link directly from the front page. There is a link under the legends board. I agree about the 'Participated' button! It's so easy to catch up on missed threads and get around the site quickly. That's a huge bonus, for me. Really? I actually like signatures, as they help personalise each person and make them more recognisable. That's just my own opinion, however. I like them too, but we probably should have some guidelines in place, at minimum, so that some people dot get out of control with 10 different images. Which forums specifically, and how would you suggest we improve them?